The European Court of Human Rights has asked the Lithuanian government for an update on the latest changes of the country's legal system in connection to entering a person's first and last name in passports and other official documents in non-Lithuanian letters. The plea was sent to Lithuania following receipt of a petition from Lithuanian citizen Jolanta Wittib married to an Austrian man. The woman said she was not allowed to have her last name spelled with a w in her passport and marriage certificate, which was a violation of the private and family life guaranteed in the European Convention of Human Rights..
Over the past few years, Lithuania's administrative courts ordered a few offices of civil registry to enter names with w, which does not exist in the Lithuanian alphabet, in passports and marriage certificates. However, the Strasbourg court brought attention to the public information, which suggests that the court rulings cannot be executed until adoption of relevant legal acts, the government said in a press release. Lithuania's parliament is currently discussing a few bills that would allow original spelling of non-Lithuanian names. 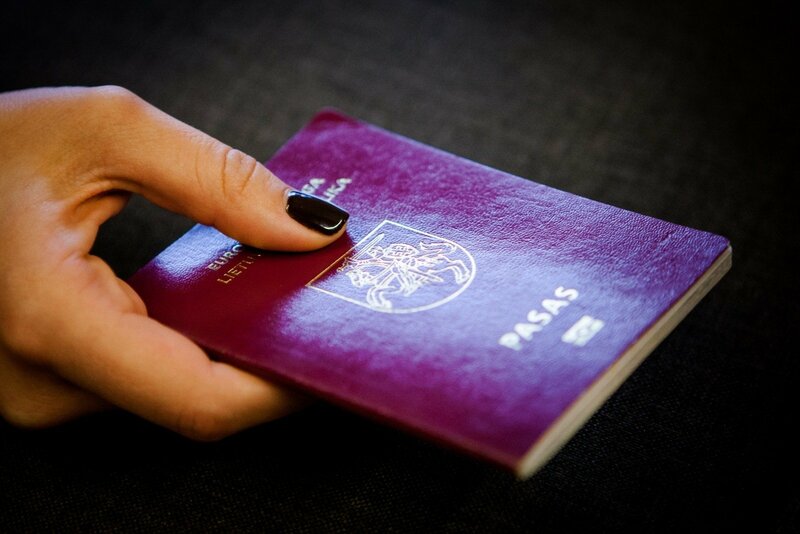 The discussions mainly focus on whether the non-Lithuanian characters w, q and x should be allowed in the main page of the passport to spouses of foreigners or whether the right should also be granted to Polish nationals living in Lithuania based on the names of their ancestors.